One year ago, American runner Jason Schlarb came to Réunion, a tiny French island in the Indian Ocean, and finished 10th in a race he still could not name for sure a few days afterwards. Had he just completed the ‘Grand Raid,’ as the 850,000 locals call it? Or was it the ‘Diagonale des Fous’ that had begun with 20 minutes of running he will probably not forget for the rest of his life? In his 2014 report for iRunFar, the speedster almost immediately stressed that he was still uncertain of the very name of the event he had taken part in. But is that name really confusing? Trust me, it is. In Saint-Pierre, where the 100 miler is about to start again on Thursday night, Jason ran through tens of thousands of spectators cheering very loud, probably to the ubiquitous sound of powerful rouleurs, the locals’ heady drums. He was, in his own words and from the very beginning, overwhelmed with emotion. Can it be that he was the one confused, perhaps already even a bit crazy? Part of the answer lays hidden in the appellation of the race itself! That race that is now known as the ‘Grand Raid’ locally has not always borne such a name. Reestablished in 1993 out of a previous event that was about to be canceled, it was, at its inception in 1989, called ‘Marche des Cimes,’ which is French for ‘Peaks Walk.’ One year later, as the number of starters had already doubled from about 550 to 1,160, it had in the meantime been renamed ‘Grande Traversée,’ which can be translated to ‘Great Crossing’–probably because the original choice was misleading. Indeed, what was organized was not simply a gentle hike in the mountains of Réunion, which is topped by a 3,070-meter-high summit. It was a long run through the entire island that would from now on leave on the southeastern coast and reach the northwestern one. 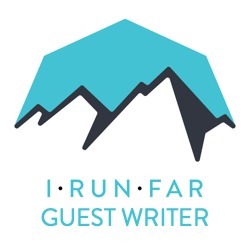 As Jason Schlarb noted in his review, this nickname is now much more pervasive than ‘Grand Raid’ on the world stage, where it is used by the Ultra-Trail World Tour, of which the race is the last leg since its establishment for calendar year 2014. In Réunion itself, ‘Diagonale des Fous’ is certainly not unheard of, as it has become the official denomination of the older, longers race since smaller ones have been created. There are now three of them that coexist under the same ‘Grand Raid’ umbrella label and the other ones are now called ‘Trail de Bourbon’ and ‘La Mascareignes’ after the island’s former name and its archipelago’s present French designation. ‘Diagonale des Fous’ is also widely used by the media as a synonym to ‘Grand Raid’ that allow its journalists to avoid boring repetitions when they deal with the race. And they do this very frequently, the annual competition being on the island the main sports event and possibly the main media event overall, together with the hugely debated Miss Réunion beauty pageant. Yet, however widespread the ‘Diagonale des Fous’ nickname might be there, few of the Réunionese know where it comes from–an article in a magazine from mainland France called Jogging International–and even fewer realize the strange connection it establishes with a supposedly very different activity, the game of chess. ‘Diagonale des Fous’ is actually a pun. For French chess players, a bishop is not an ‘évêque,’ as the member of the Christian clergy is named in the French language. A bishop is a ‘fou’ and when played, it moves through the chessboard by crossing it like a diagonal does through a square. So the Grand Raid’s nickname refers to a spectacular move of a specific piece that is similar to the course of the runners through the island when seen from space. But Réunion Island has no special interest in chess, with the possible exception of the small community of Chinese origin that frequently teaches it to its children. Yes, one of the greatest masters of the 19th century was born on the island, but Louis-Charles Mahé de La Bourdonnais is now completely forgotten there, even by local historians. They much favor the study of his ancestor Bertrand-François, a former colonial governor that brilliantly resisted the rise of the British Empire from the Mascarene archipelago to which Réunion belongs, back in those days when the island itself had that other name, Bourbon, the French king’s family name. And then the bishop moves only on squares of the same color, either black or white. Any traveler to Réunion who ventures through its inlands just like the runners have to will notice how landscapes change drastically from one spot to the next there. On Thursday night, when they start their 164-kilometer-long adventure, participants will first stroll on the beachfront of the island’s second-most populous city, then cross through sugarcane fields, climb through a tropical forest, reach a plateau with green Alpine-like meadows, climb again through old volcanic cones, slide through a muddy marsh, and eventually claim that they have completed the first third of their intended journey. Calderas, thermal towns, and cobblestones await further away. So nothing seems as dull as the single color of the chessboard the bishop can see. Of course, some of the greatest attractions of the previous editions are now avoided by the race. One is the Roche Écrite, which was that never-ending final summit that contributed to the legend of the race during its first years–in a 2003 novella, former runner Jean-Paul Tapie has his AIDS-infected protagonist faint as he reaches the top of the ascent. Part of the national park that covers most of the interior of the island, the area shelters the last remaining couples of ‘tuit-tuits,’ passerines that are endemic to this site and thus found nowhere else on the planet. The association that runs the Grand Raid now detour the race around the area to protect those birds. This has also caused the race to become longer over the years. Even the Piton de la Fournaise, which is one of the world’s most active volcanoes together with its Hawaiian counterparts, is now left quiet and undisturbed by the race. Back in 2013, the departure moved to Saint-Pierre from other smaller southern towns that had expressed their inability to manage the crowds the Grand Raid attracts. This has made an incursion next to the volcanic giant impossible without further complicating an event that is already extremely challenging. In the process, participants have lost an opportunity to spot an eruption while running, something that amazed most in 2006 and helped seal the race’s reputation. The Grand Raid also lost at the same time its linear course that had motivated Jogging International to call it a diagonal. Why, then, has the ‘Diagonale des Fous’ nickname stuck to the race since 1994? And why has the organization itself constantly used it from that date, for example on that year’s poster? Of course, the comparison to the game of chess underlines the importance of mental strength and attention required by the men and women who challenge themselves on the very technical trails of Réunion, full of scoria and crisscrossed by thick roots. But the main reason for such a sticky name is that it aptly conveys this fascinating idea that anyone that might start this race, and let alone try to finish it, may well be slightly silly. ‘Fou’ in French means ‘crazy.’ A ‘fou’ is a fool. And for the playful media, you have to be one to engage in such a challenging physical adventure with no other financial expectation than the traditionally low prize money awarded to the eventual individual winner out of the now 2,500 starters. The irony is that for most of the local competitors, running in the mountains is not at all about losing their mind but, on the contrary, saving it from the pollutions of day-to-day life. Before slavery was abolished in France in 1848, slaves would often run away from the plantations situated along the seashore to the mostly uninhabited interior of the then colony, where the rugged mountains could hide their life for a while or hopefully forever. To this day, the ‘Heights,’ as they are called in local French, are thus considered a shelter of the truest Réunionese culture. Those who now inhabit the inlands still cherish as a family secret the location of those legendary ‘sentiers marrons,’ the unofficial trails on which runaway slaves once traveled. And then there was a cruel rule that forbade slaves from wearing shoes back in the days of their exploitation. Such history now builds running in the mountains with comfortable running shoes as one of the most freeing activities for a great part of the present mosaic Creole population of what is after all a small island that only the most dedicated can escape. The Grand Raid is, thus, somehow a time of inversion. A time when the people are freed from their daily routine while everyone’s focus shifts from the coast to the interior and overall from mainland France back to Réunion itself. A time when the activities of slaves become the one of all. A time when values are inverted from money-making to simple joy. A time when kings are threatened, just like they are at the ends of chess games. Because the Grand Raid is a carnival, as the rouleurs claim and repeat at possibly every aid station. A moment when craziness is released. A moment for the fools. Last year, newcomer Jason Schlarb completed the race for the first time, and it seems he deeply appreciated the crazy nature of our island’s fantastical long-distance run. So he, too, became a fool. This weekend, when about 60% of all starters cross the finish line in coastal Saint-Denis, more will have joined him and all the previous finishers on the northern edge of the giant chessboard that Réunion has become, being now proud of its mixed-race culture. More will be crazy, as chess players–and distance runners–sometimes are. Have you run the Diagonale des Fous or one of the Grand Raid Réunion’s shorter races? Can you share your experience? Are you a Réunion local who indulges in a weekend of fun and freedom while the Grand Raid Réunion races take place, either as a spectator or runner? This was a great article… I love that it is pun. I was in Reunion Island some weeks ago and could take a look at some miles of that course. This course is really hard and painful – particularly due to the hard and sharp volcanic rocks that distroy the soles of your running shoes. And lots of steep ups and downs. But the scenery is terrific! By the way: does anyone know whether there will be a live stream or coverage of that race? @la_capra_65, thanks for your perspective on the course! You can see live tracking for the race here: http://i-rn.fr/15DdF-LiveTracking. And also, a live stream by a local newspaper in French here: http://www.clicanoo.re/?page=grand_raid_2015_live. Enjoy! Awesome article. I ran the Grand Raid three times and after reading this article, I just want to go back and cross the island one more time!_The scenary is outstanding but, above all, you got to know that people out there are absolutely crazy about the race. I've never seen that in any other ultra trail I ran before. _Go to La Reunion Island and be a fool yourself!